Jorge Villagra graduated in Industrial Engineering at the Universidad Politécnica of Madrid in 2002. He received his PhD in Real-Time Computer Science, Robotics and Automatic Control at the École des Mines de Paris (France) in 2006. He was first granted with a 3 years CIFRE Program in PSA-Peugeot-Citroën and then with a post-doctoral fellowship at a Joint Research Unit INRIA-Mines ParisTech (France). The results of the PhD were granted with the Prize for the Best dissertation in Automatic Control in France in 2006. From 2007 to 2009 he held a position of Visiting Professor at the University Carlos III (Spain). He then received a 3 year JAEDoc fellowship at the AUTOPÍA Program in the Center for Automation and Robotics UPM-CSIC (Spain), where he spent one additional year funded by a research contract. From 2013 until August 2016 he led the Department of ADAS and Highly Automated Driving Systems at Ixion Industry & Aerospace SL, where he also coordinated all the activities in the EU R&D Funding Programmes. 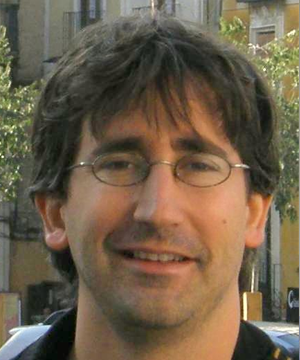 He is leading AUTOPÍA Program at CSIC since October 2016. He has developed his research activity in 6 different entities with a very intense activity in project setup and management, through over 30 international and national R&D projects , where he is or has been IP of 10 of these projects. He has published over 85 papers in international journals and conferences on autonomous driving, intelligent transportation systems, dmodel-free control and new probabilistic approaches for embedded components in autonomous vehicles. A review of the bayesian occupancy filter. Fractional network-based control for vehicle speed adaptation via vehicle-to-infrastructure communications. IEEE Transactions on Control Systems Technology. Vol.21. Pages: 780 - 790. Self-configuration of waypoints for docking maneuvers of flexible automated guided vehicles. IEEE Transactions on Automation Science and Engineering. Vol.10. Pages: 470 - 475. A comparison of control techniques for robust docking maneuvers of an AGV. IEEE Transactions on Control Systems Technology. Vol.20. Pages: 1116 - 1123. Intelligent automatic overtaking system using vision for vehicle detection. Expert Systems with Applications. Vol.39. Pages: 3362 - 3373. A diagnosis-based approach for tire-road forces and maximum friction estimation. Control Engineering Practice. Vol.19. Pages: 174 - 184. A model-free approach for accurate joint motion control in humanoid locomotion. International Journal of Humanoid Robotics. Vol.8. Pages: 27 - 46. Driving assistance system applied in curves for real vehicles | Sistema de ayuda a la conducción en curvas para vehículos reales. Dyna. Vol.86. Pages: 95 - 104. Low-Speed Longitudinal Controllers for Mass-Produced Cars: A Comparative Study. IEEE Transactions on Industrial Electronics. Vol.PP. Number. 99. Pages: NA - NA. Control basado en pid inteligentes: Aplicación al control de crucero de un vehículo a bajas velocidades. RIAI - Revista Iberoamericana de Automatica e Informatica Industrial. Vol.7. Number. 4. Pages: 44 - 52.